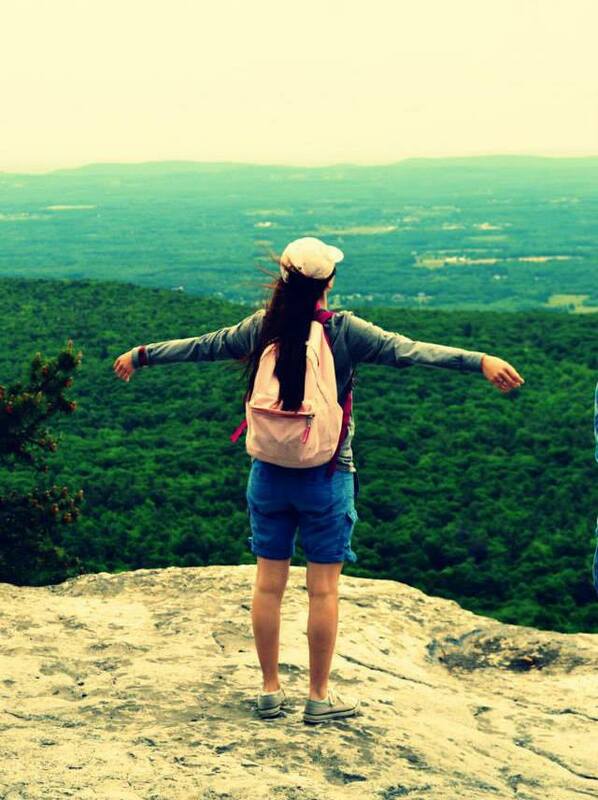 Hiking at Minnewaska is one of Taylor’s favorite things to do! Reason for becoming an RA: My freshman year RA made such an impact in my life that I wanted to pay it forward and have a chance to influence people, too! 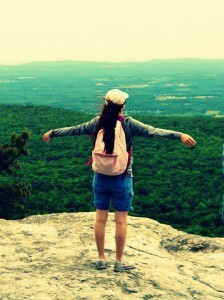 Favorite thing about the job: How rewarding it has been. I made so many new friends, both residents and staff members and it’s nice to have so many more faces to say hi to on campus. Most Memorable RA moment: Probably when my resident’s told me that they liked my jokes! What people should know about RAs: We’re actually real people, (which I sometimes forget) we’re slightly ridiculous, but in the end we just want to help people. Favorite Late Night Snack: Peanut Butter, Nutella and Honey Wheat Pretzels for the win. 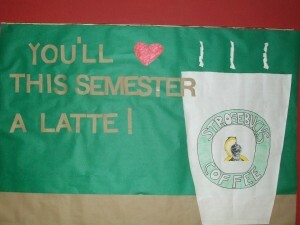 Taylor’s first Bulletin Board ! Goal after Saint Rose: I’m starting to think about going to grad school directly after St. Rose, but if not I’d like to get a job teaching High School Band or Orchestra and turn the children of America into music geeks like myself. I mean, who doesn’t love Beethoven? Random “Fun” Fact: When I was a kid, my brother and I got to be models in a children’s science book! I’ve also met the guy that does the “double dream hands” dance.